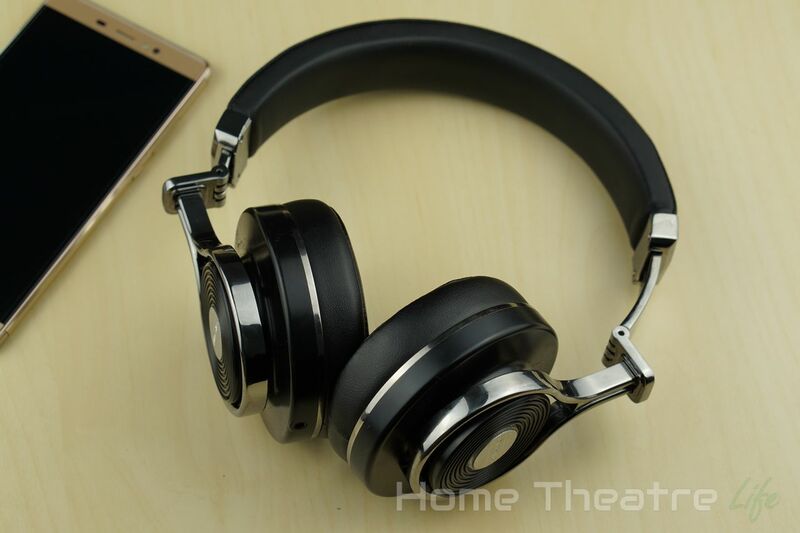 The Bluedio T3 are electronics manufacturer Bluedio’s latest headphones. Taking inspiration from their previous models and some ingenuity, are Bluedio’s latest headphones a success or failure? 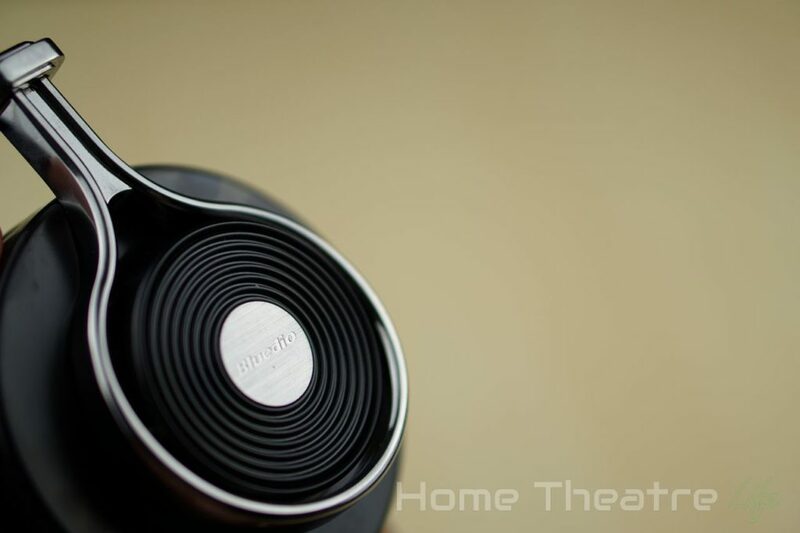 Read our Bluedio T3 review to find out! I want to say thanks to GearBest for providing a sample to review. 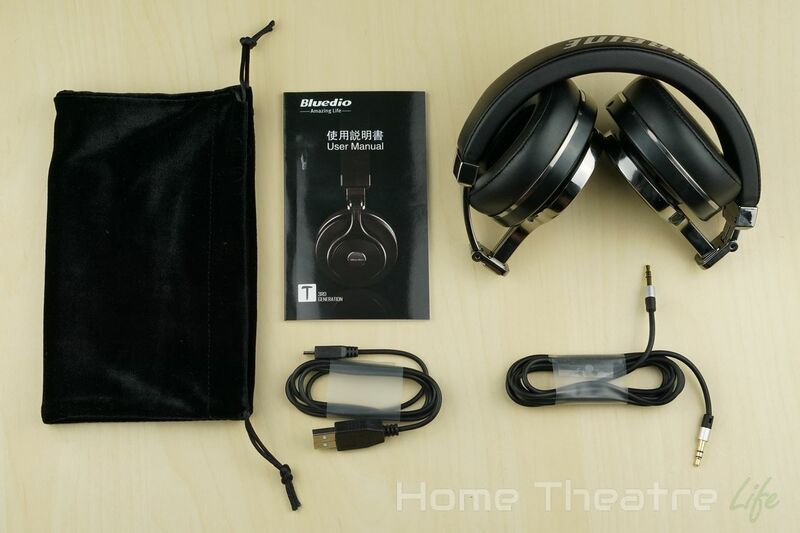 Purchase the Bluedio T3 headphones from them here. Bluedio have also provided an exclusive time-limited deal to get a massive 25% off at their official Australian eBay store. Click here to get the Bluedio T3 Turbines for just AU$41.24. 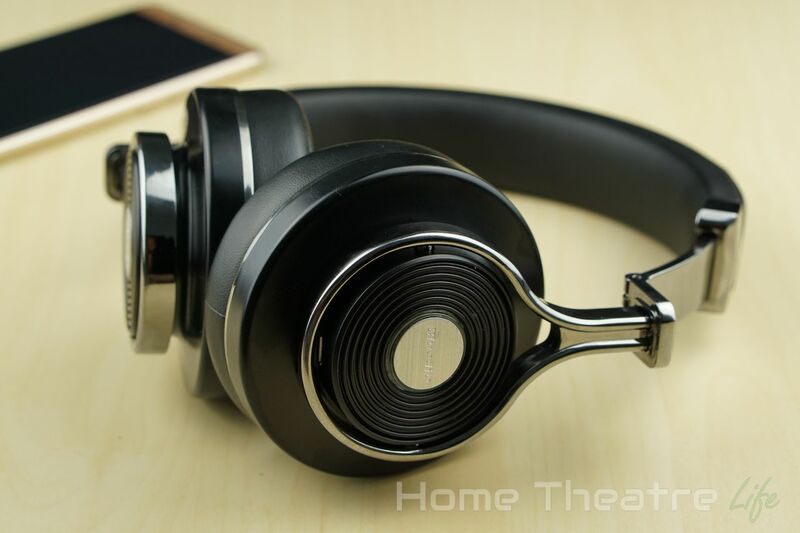 I think the Bluedio T3’s are a fantastic looking set of headphones. 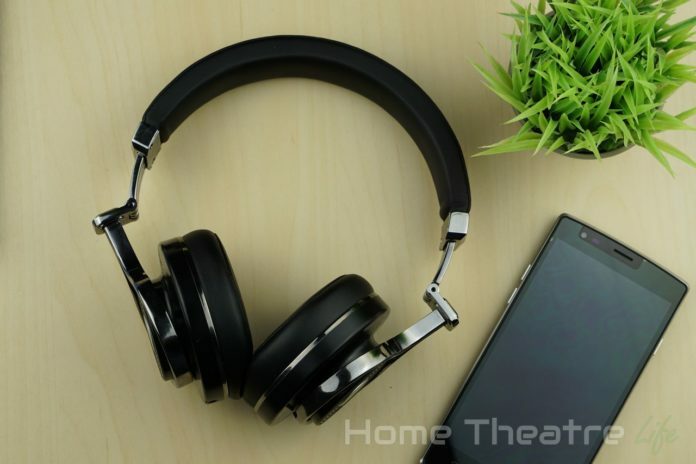 Using a black and gun-metal grey color scheme and chunky, robust components make the device look like an impressive set of headphones and will match your AV equipment. The entire frame is made of zinc alloy and it feels solid and durable. I’m not worried about the headphones breaking. The hinges allow the headphones to fold up, making it easy to transport them. 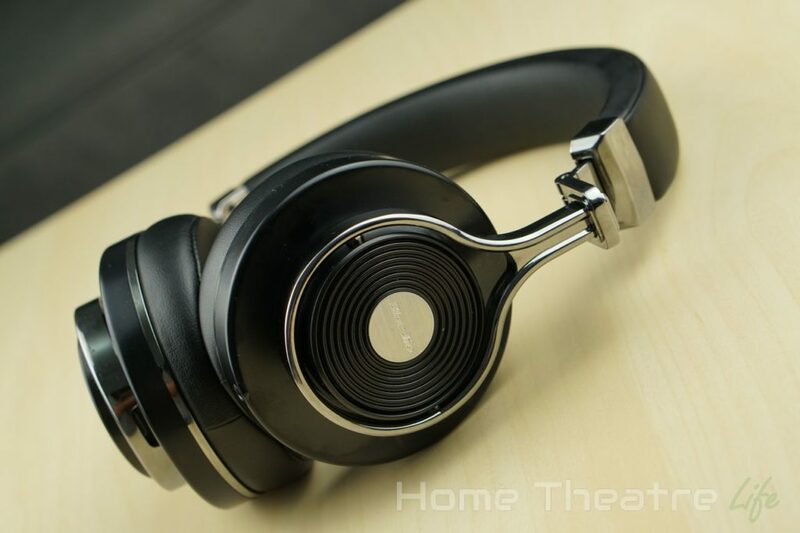 The earpieces have an elegant record style design, with circular grooves reminiscent of a record surrounding a silver circle featuring Bluedio branding. 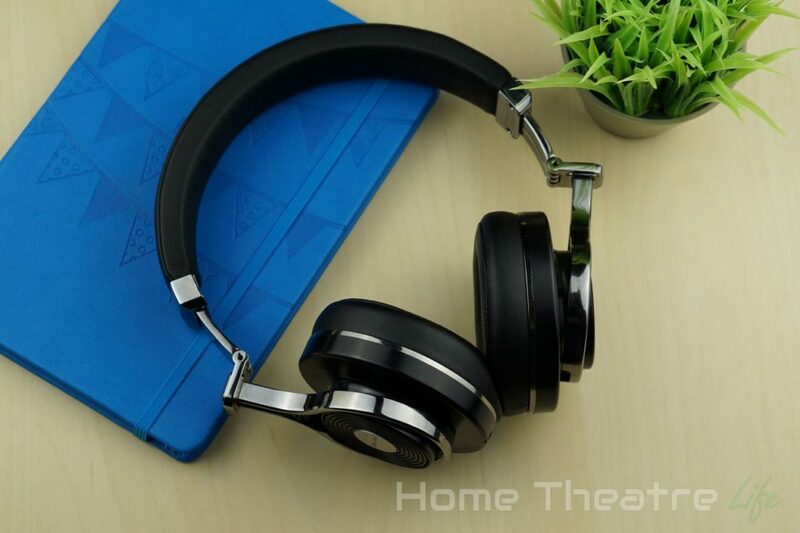 Each earcup is made of memory foam covered in a soft leather-like material. They’re incredibly comfortable even after several hours. Noise isolation was also very good. They also tilt up to 10 degrees for extra comfort. The headband features the same soft touch leather like material, cushioning your head from the solid band. I was a little worried about clamping force of the headphones given the earcups touch when no force is applied. Thankfully, my fears were unfounded with the pressure being enough to hold them fairly securely to my (admittedly large) head but not enough to cause headaches or discomfort after long periods of use. Being closed back earphones did mean my ears got warm after a while. In terms of size, the Bluedio T3’s are a fairly large set of headphones. The earcups, hiding the massive 57mm drivers, were large enough to completely cover my ears. The right earpiece houses all the technology. The outer surface features hidden buttons for volume control and a play/pause button. The silver circle acts as a power button, in addition to controlling phone calls but more on that later. There’s also a micro USB port for charging hidden away at the bottom. I actually mean hidden too, requiring the ear up to be angled to access it. Given you’re rarely going to be charging the unit when listening to it, the improved aesthetics are worth it. The left side is far more pedestrian, featuring the combined 3.5mm line in/line out port. The unit’s turned on by holding the button down on the right ear for several seconds. A helpful spoken cue will let you know when the units on and another when it’s actually paired to our unit. The pairing process is pretty straightforward, although not as easy as using NFC as in other Bluetooth headphones. With the unit off, hold the power button down until the unit says its entered pairing mode. After selecting the T3 in your Bluetooth menu, the earphones will confirm they’re connected and you’re ready to go. You’re actually able to pair two devices with the Bluedio T3 and it’ll automatically cut over to the correct device when it plays music. It was nice to get notifications from both of my phones without having to change the pairing all the time. The integrated controls work well, with volume, play/pause and a call button. Various click patterns will do things such as redial the last number called or skip tracks. They can be a little challenging to find when wearing the headphones due to the lack of separate buttons, but as long as you work from the central button, it’s not too difficult. Interestingly, the volume controls control the onboard amplifier rather than the smartphone’s volume. This means that it’s capable of outputting some serious volume for those of you who like bleeding eardrums. Another great feature is the line-in support, that allows you to use the Bluedio T3’s as normal headphones if you want to use them with a device that doesn’t have Bluetooth or their in-built battery is flat. This is particularly useful if you’ve forgotten to charge it’s batteries. However, the in-built music controls don’t work over the 3.5mm connection which is disappointing but not surprising. In terms of audio quality, I wasn’t able to hear any difference between the Bluetooth and 3.5mm connections, with both sound quality and volume seemingly uninfluenced by the connection type. Another unique feature is the line out function. If you’re connected via Bluetooth, you can share your music with a friend by directly connecting headphones directly into the Bluedio T3. I can see it being handy if you wanted to share music with your friends but I didn’t really use it. Also, whilst it worked fine with standard headphones, those sporting a TRRS jack (like the Apple Earbuds) won’t work. The Bluetooth connection itself is rock solid, with only a couple of brief breakups in several hours of listening. Even when walking around, I didn’t have any issues. Battery life was fairly good, achieving around 20 hours of music playback offer the course of two weeks. Micro USB charging makes it easy to top up when your not at home. Now to the most important part – how do they sound? 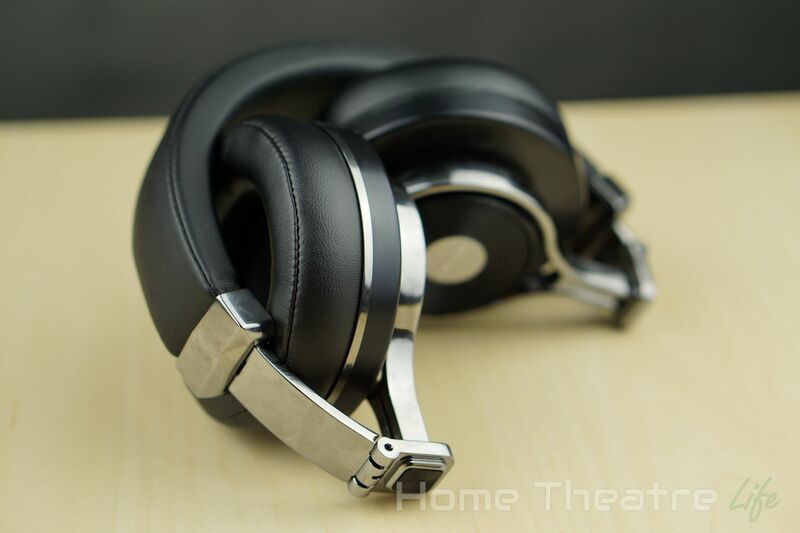 I have to say that the Bluedio T3s definitely are on the bassier side of headphones, far more Beats than AKG 701s. Bass has a very satisfying thud and highs are well represented at the expensive of muddy mids. 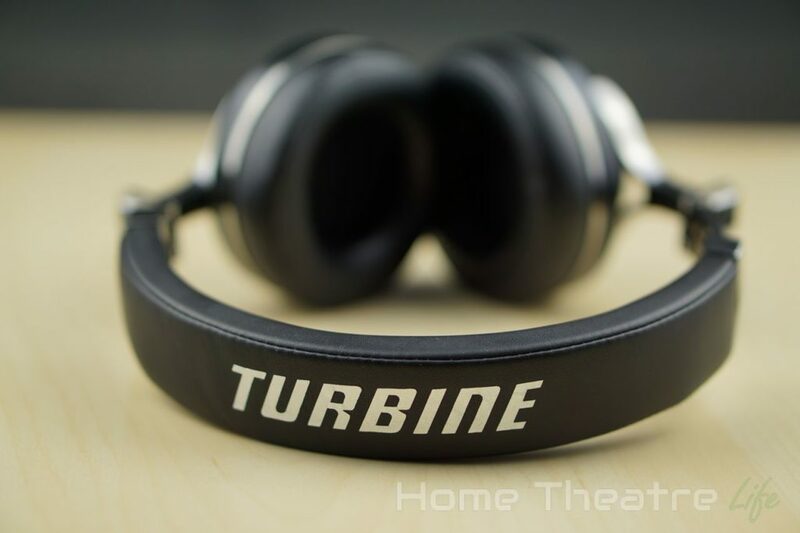 These are fun headphones to listen to. Electronic tracks like SKRILLEX’s Bangarang sound amazing with the headphones reproducing the thumping bass and electronic components well. However, tracks with a combinations of lows, mids and highs often sounded a little muddy, with bass drowning out some of the detail. Bluedio have made a point about the new 3D sound effect that’s available when using the headphones via Bluetooth. Activated by pressing the center and Vol+ buttons at the same time (and deactivated by pressing the centre and vol- buttons), it seemly adding a little depth and echo to the music I was listening but the effect wasn’t particularly dramatic and what effect was there seemed to make the music sound faded and more distant. The included microphone has the same issues as other headphone microphones. As the microphone is located in the ear cup away from your mouth, audio is quiet and picks up a lot of static. It’s functional and I’m glad the feature is there but this isn’t a replacement for a proper Bluetooth hands-free kit. 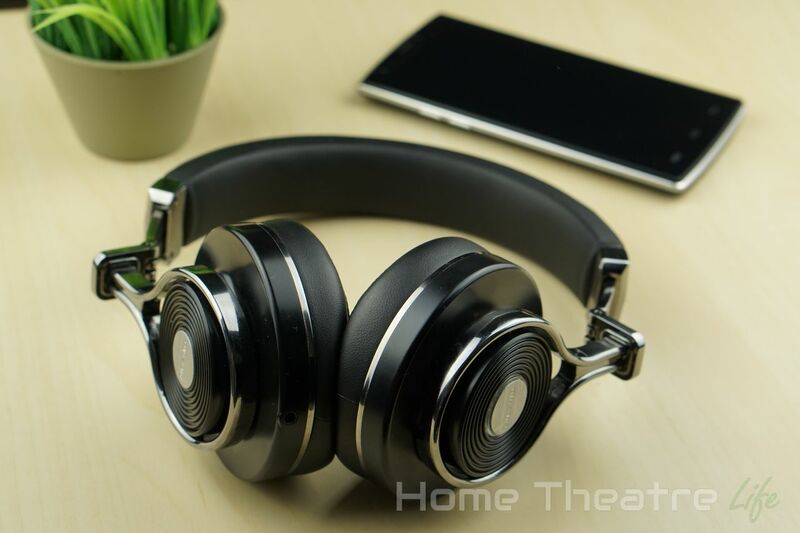 The Bluedio T3 headphones are a solid set and well worth the price of admission based on the overall quality of the unit and impressive array of features. Build quality is amazing, with great details that make the device feel far more expensive than it actually is whilst being incredibly comfortable. Sound quality was also good, though too bassy for my liking, but fans of bass-heavy music will love them. If you’re in the market for Bluetooth headphones with some real power, the Bluedio T3 are a fantastic option. The Bluedio T3 are available from GearBest and Amazon. 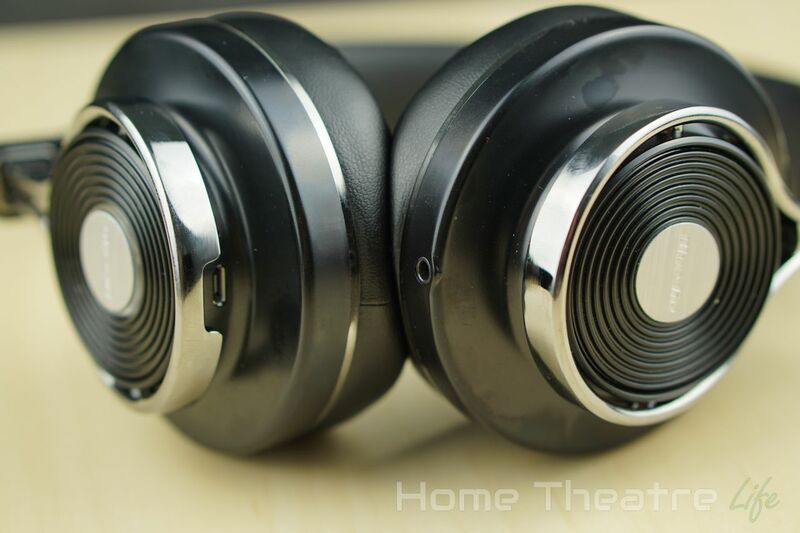 The Bludio T3 Bluetooth Headphones are impressive. There's an immense number of features and bass-lovers will be well-catered for - though some music lovers will be turned off their bass-centric sound.